Planning a Halloween Party this year? Why not set up this Haunted Doll in your living room? Horror comes in all sizes and this little monster is no exception. The Haunted Doll presents that atmospheric terror that you’ve been searching for. 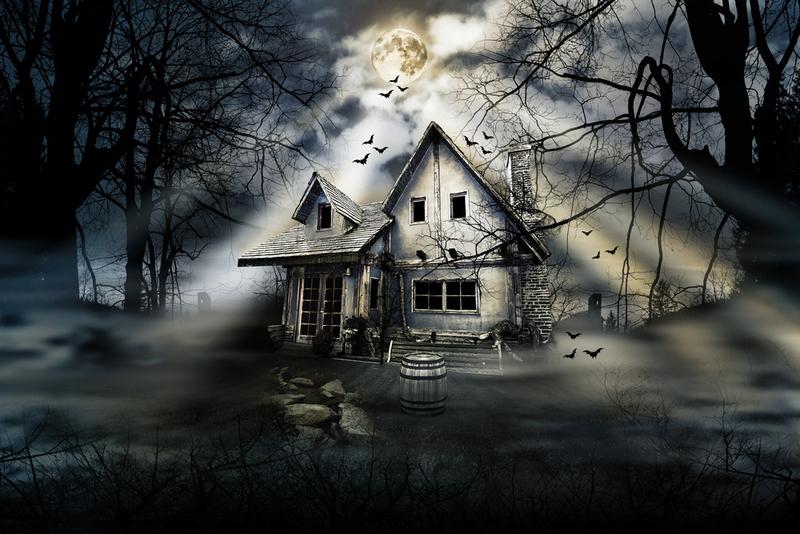 With it’s dead stare and rustic appearance telling it’s own story, it’s hollowed eyes glare at your soul. 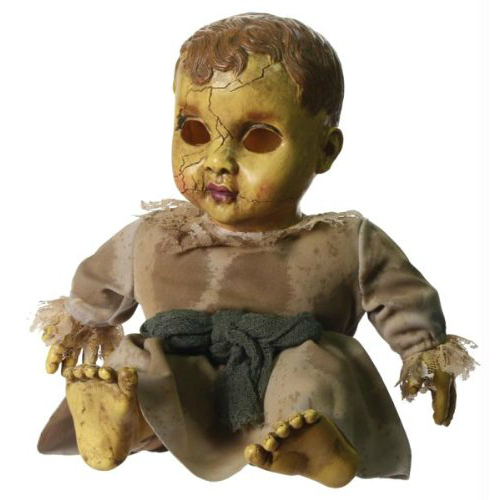 The best thing about the Haunted Doll other than it’s consistent quality is that you can put a light inside of it (think a glow stick or bracelet) to give it a sort of possessed vibe so when it’s sitting on a chair or table in your living room is will fill the room with its ominous aura. The Scary Peeper is a creepy looking face that can suction to an inside or outside window. 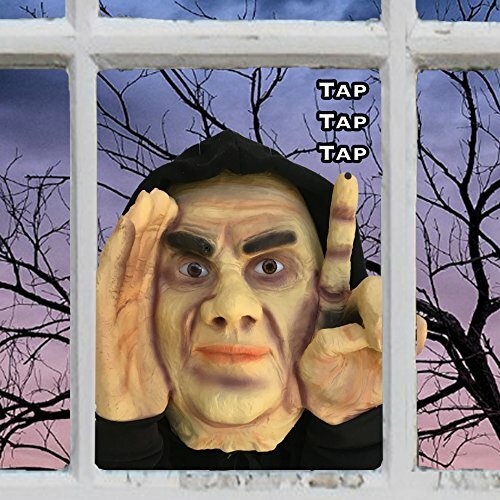 Scary Peeper works off of a motion sensor, when he sees someone he will tap on the window, grabbing their attention. Nothing really elicits a response like some creepy guy staring at you from your peripherals through the window. Here we have the Animated Slashing bat. 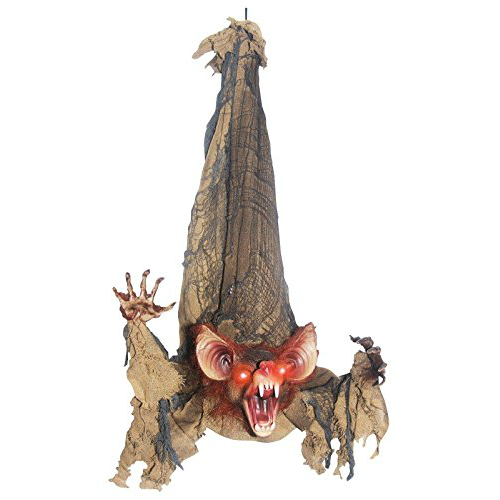 This ferocious looking beast is ideal for hanging inside of a haunted house. His arms are positional and he is sound activated. Upon activation his eyes light up and he screeches while swiping away with his long arms. This guy can be pretty scary so if you plan on using him for your Halloween house party, beware that he may frighten small children.